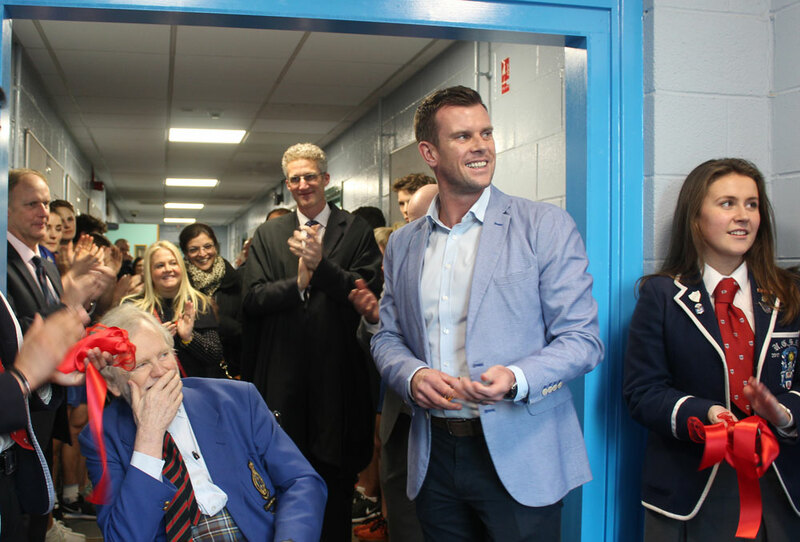 The school celebrated a monumental occasion at the opening of the new Athletic Development Centre last Wednesday. The building was officially opened by FP and Captain of the Great Britain Davis Cup team, Leon Smith (C.1993). 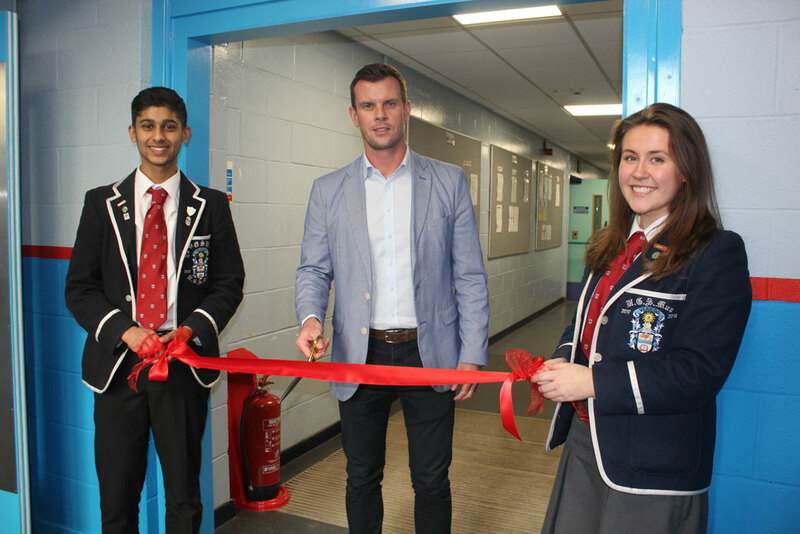 He accompanied the Rector, FP and donor Leslie Ingram-Brown (C.1965), pupils, staff and friends of the school to cut the ribbon and celebrate the latest addition to the Beaton Road campus. Work began on extending our Sports Building in 2018 and the new facility was built in line with our Sports Strategy Fundraising Campaign. Addressing pupils at a special assembly, Leon said: “This is a game-changer for everyone at Hutchesons’, there is no doubt about it. The new development is very far away from the days I remember at school. “I am very lucky I get to witness high performance sports on a daily basis and here at school it is really incredible you have the advice around you. 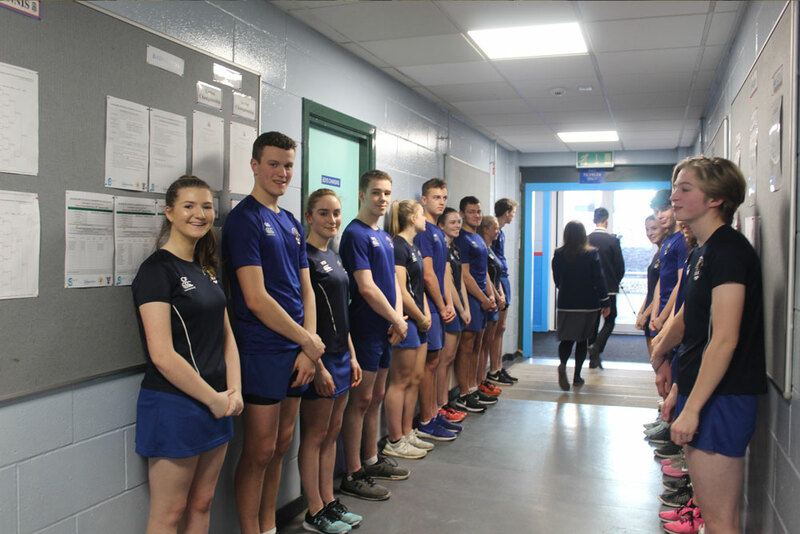 “Whether you are doing high-level sports or whether you just want to get into health and wellbeing, it is important to have the right people around you giving advice – having a new Director of Athletic Development, Mr Williamson, you are in good hands. During the assembly, Senior pupils were surprised to receive special awards from the Rector and Leon Smith to acknowledge their commitment to sport at Hutchesons’. Work began on the extension last May, with the main contractor and builder, Fleming Buildings Ltd. working alongside Wylie Shanks Architects. The gym now includes a Strength and Condition Suite and a Cardio Suite, which have been equipped with top of the range machines from Origin Fitness. The school is continuing to grow and improve as part of our annual Improvement Plan and the new Athletic Development Centre was made possible by the generous donations from our current pupils, former pupils, staff and friends of the school. Fitness and sport for life is encouraged here at Hutchesons’ and the Sports Department is looking forward to making good use of the facility with current and future pupils. We are most grateful to those in our community who have chosen to support our latest development. The main donors were the 1957 Group, FP Leslie Ingram-Brown (C.1965), our parents and the Hutchie community. 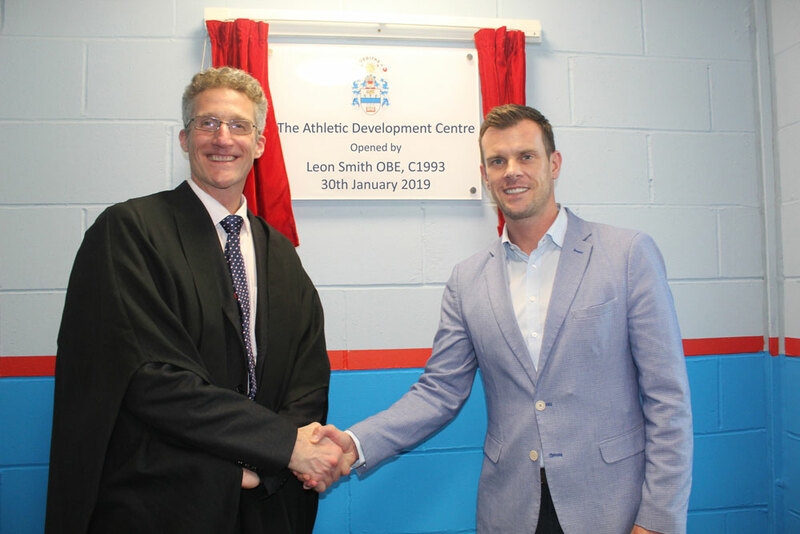 On the day, Leslie officially declared the Strength and Conditioning Suite Athletic and delivered a fascinating speech talking about his time at the old campus at Crown Street and Beaton Road. “My life in the school began when I first walked through the gates of Crown Street in August 1956 and ended when I walked out of the gates of Beaton Road in 1965. I was among the first of the intake to the new school at Primary level, first of the intake to the Senior School. “I have to say, there are so many new parts of the school that I don’t recognise, it is incredible to see how Beaton Road has changed. “I would like to thank all members of the PE staff and those involved in helping build this new facility. It is wonderful to know here at Hutchesons’ we are laying down a standard for sport in schools and I can see why the pupils want hold of it, it is a wonderful place. “The new facility is an essential part of what we are trying to lay down at Hutchesons’, providing a backbone for health and wellbeing. 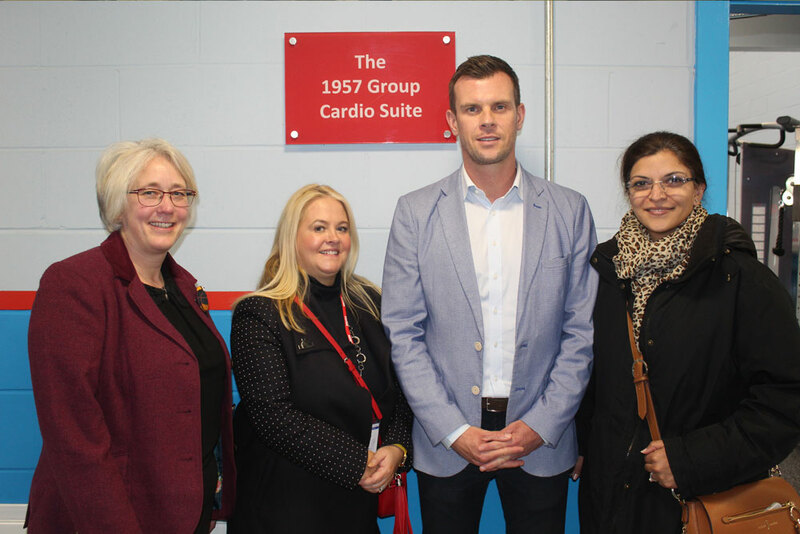 To honour these contributions, the Cardio Suite has been named ‘The 1957 Group Cardio Suite’ and the Weights Gym is called ‘The Leslie Ingram-Brown Strength and Conditioning Suite’. The school relies very much on the support of former pupils, parents and staff, many of whom give generously of their time and money. We wish to thank all donors to this project, and are pleased to recognise their contribution below. We also acknowledge the many donations, which are given by those who wish to remain anonymous. Each and every donation is appreciated. If you wish to help us continue to imporove our facilities, please contact the Development Office development@hutchesons.org.